We left the YMCA with kids in both cars and headed for Friendly's in Colchester. 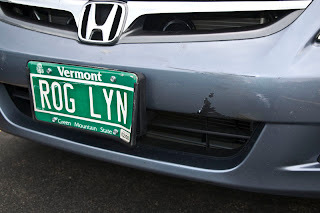 Just as we got under the I-89 overpass (Route 7), my wife had a run in with this car. It's a long story but everyone in both cars were unhurt and fine and the damage was minimal. After the usual call to the Police and statements from both parties, the birthday party resumed at Friendly's.